PayGo is ALL FileMaker Pro 17! 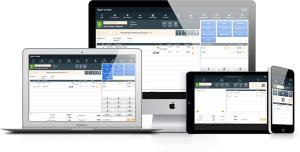 It’s the Practically Perfect FileMaker POS Solution! PayGo’s FileMaker POS software consists of a collection of customizable database files with 16+ years of retail experience behind it. It’s wide open* and the perfect solution for FileMaker-minded, point of sale individuals. Our point of sale solution has worked great for Quilt Shops, Boutiques, Wine Shops, Gift Shops, Pet Shops, Consignment Stores, and more. Learn more about our customers and how they have put PayGo to work in their stores. As we say in our Minnesota headquarters, You Bet’Cha it is! When you purchase our Unlocked version, you receive fully customizable FileMaker Point of Sale software. It’s open, tweak-able, and restriction free. With PayGo Unlocked, we give you control to build functionality that helps you run your business the way you want to run it. We give you the option to take our PayGo FileMaker files and take them in your own direction. Use your FileMaker powers (or ours) to do what you want in the world of retail. It will be awesome. If you have questions, please give us the opportunity to talk with you. LiveChat with us during business hours. Have Questions? Want to Order Now? Contact us here. The core features above should give you a good idea of the many cool core features of PayGo. The list to follow lays out all the features we can think of that PayGo has! Already built in! Inventory lookup from Invoice – just type into the scan box, hit Enter, PayGo finds all matches…it’s FAST! Inventory by Vendor, Department, Class, Category, Size, Color, Style, etc. Unlocking PayGo is the action where our team gives you the key to PayGo to get under the hood and do everything you want to do with PayGo and its data.